To strengthen quality control over frozen and refrigerated products, an international hypermarket chain in Taiwan introduced Advantech’s Cold Chain Management Solution at the beginning of 2018. LoRa wireless cold chain sensors were utilized to establish a surveillance network to monitor temperature changes in freezers and refrigerators. This way, products can be protected from the risk of spoilage due to fluctuations in temperature. To ensure the quality of frozen and refrigerated foods,an international hypermarket in Taiwan introduced Advantech’s Cold Chain Management Solution in early 2018. By utilizing LoRa wireless cold chain sensors, the company was able to build up a systematic monitoring network so that all frozen and refrigerated products—whether on sale, in the warehouse, or at the logistics center—can be monitored by management by tracking temperature changes in all freezers or refrigerators via a cloud platform. Problems with cold chain distribution and storage around the world have led to many food safety incidents,raising both public awareness on and retailer demand for higher levels of food safety. As an example, in addition to food safety concerns, cold chain management problems in China have resulted in food spoilage rate of 20%, resulting in a total loss of RMB 100 billion in logistics costs. Kai-Xiang Yang, Advantech’s iLogistics Business Development Manager, pointed out that when discussing the safety of frozen or refrigerated food, most retailers in the past only paid attention to temperature control during transportation to avoid losses. Today, the scope of control has been expanded to warehouses and stores to ensure that frozen and refrigerated foods at every part of the supply chain are stored at the appropriate temperature, thus ensuring product freshness. This not only helps retailers reduce losses but also protects their reputation, thus ensuring customer loyalty. This is also the main purpose for Advantech introducing their Cold Chain Management Solution. Recently, the hypermarket installed LoRa wireless cold chain sensors to the wall-mounted refrigerators and freezers at both the hypermarket and its storage/logistics center. This enabled management to monitor the temperature in the freezers and refrigerators at every stage of distribution, at any time and from any location. The hypermarket has also provided LoRa wireless sensors to its suppliers in order to better monitor fresh food products whose quality changes with the temperature, requesting them to install the sensors in their freezer containers so that temperatures can be monitored during transportation. Mr. Yang revealed that aside from enhancing food safety control, the hypermarket has enhanced its operating efficiency, reduced the incidence of spoiled goods, lowered electricity costs, and improved regulatory compliance by introducing Advantech’s Cold Chain Management Solution. This is significant progress from past practices in food safety management, which involved intensive manual labor, in which staff would randomly select a batch of refrigerated or frozen products, check the temperature with a sensor, record the reading on paper, and then return to the office and input the data into a computer system. The shortcomings of this type of operating method are twofold: first, human error is inevitable in manual records; second, paper records are relatively easier to lose. Since current regulations governing food safety and sanitation require relevant documents to be preserved for 5 years, data management has become a crucial concern for food safety management. Thus, a better system had to be implemented. 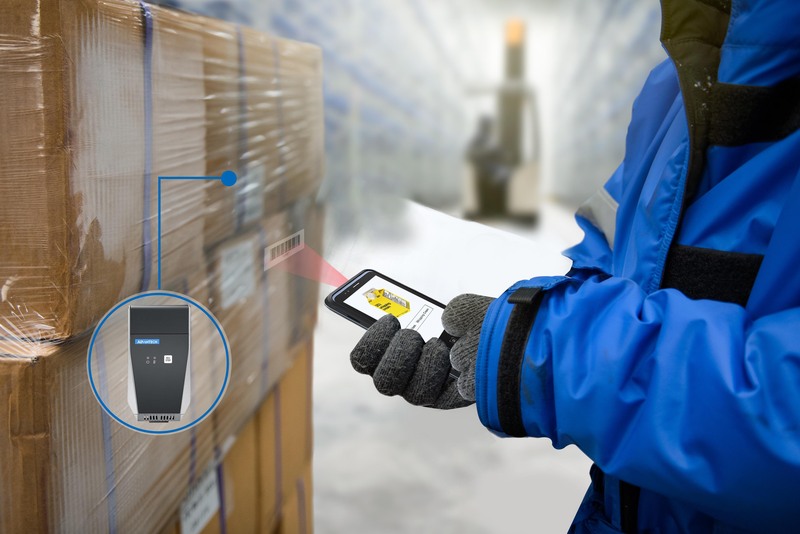 With Advantech’s Cold Chain Management Solution,staff can install LoRa wireless cold chain sensors among refrigerated products, use a handheld device to scan the order number, confirm the products to be inspected, and scan the LoRa sensors so that the temperature data will be automatically uploaded to the system. This approach not only saves staff time but also ensure compliance with data preservation regulations pertaining to food safety and sanitation. This efficiency also extends to the shopfront. Today,whenever there is an abnormality in the temperature of any freezer or refrigerator, the system will notify management immediately so that any problem can be identified, rectified, and possibly prevented from occurring again in the future. 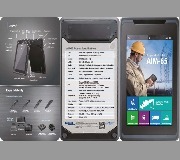 Despite the wide availability of handheld devices and temperature sensors currently on the market, many hypermarket operators still choose Advantech. The main reason is that Advantech’s solutions are unique and innovative technologies. Mr. Yang pointed out that the most notable feature about Advantech’s PWS-472 industrial-grade handheld terminal is that it supports IR temperature input, which is particularly relevant for cold chain retailers. 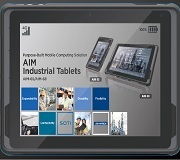 Additionally, the device is based on Android OS, thus providing an open platform that facilitates system integration,which can significantly improve operational efficiency. Over a wireless network, the TREK-120 LoRa wireless cold chain sensor can be installed in a matter of seconds once the installation location has been confirmed. This is a sharp contrast against traditional wired sensors that require cabling to be installed, which can be time consuming and difficult to install. Furthermore,the TREK-120 can simultaneously measure food temperature, humidity, and vibration levels.Although the functionality of the TREK-120 is relatively similar to other general sensors in terms of items to be measured, the TREK-120 can perform data transmission over long distances with low power consumption. In fact,it can be used for many years without having to replace the battery. Mr. Yang explained that traditional sensors use Wi-Fi or Bluetooth for data transmission, the biggest drawback of which is their large power consumption. This requires users to recharge or replace batteries often in order to avoid data loss. Even if a low power consumption Bluetooth technology were to be launched in the future,it would still likely be vulnerable to outside interference, making it unsuitable for cold chain food safety monitoring. Since LoRa has a higher penetration rate and longer transmission distance than previous transmission methods, it is quite adequate for hypermarkets to install one or two gateways,which reduces system installation costs relative to wired systems. Furthermore, LoRa base stations are relatively easier to install. All that is required for any IT device to be taken as a base station is to install software and a dongle. Thus,stability and reliability in telecommunication services are easily realizable. Demonstrating Advantech’s commitment to meeting customer needs, the company is dedicated to ensuring smooth system implementation. Because LoRa operates mainly in the global free-to-air frequency band, it can easily overlap communication frequency bands already used by the customer, causing mutual interference between signals. The hypermarket encountered this problem while installing the Advantech Cold Chain Management Solution,and Advantech engineers immediately assisted with adjusting the operating frequency band.Additionally, the system was set up so that the sensors would first inquire as to whether there is any signal occupying the channel before transmitting data, thus ensuring data transmission quality. With modern society’s emphasis on food safety, a reliable solution for complete cold chain management can help retailers ensure food safety, which can give their customers peace of mind while also protecting their reputation. Since the hypermarket introduced Advantech’s Cold Chain Management Solution, their practices for monitoring frozen/refrigerated food product safety have fallen in line with global trends. With the initiative demonstrated by this hypermarket, more retailers are expected to be motivated to introduce Advantech’s Cold Chain Management Solution. An internationally renowned hypermarket chain that currently distributes to 10,000 retail outlets in 30 countries and regions around the world.